FIRST RULE: THESE ARE CREATED WITH SOUFFLE CLAY. 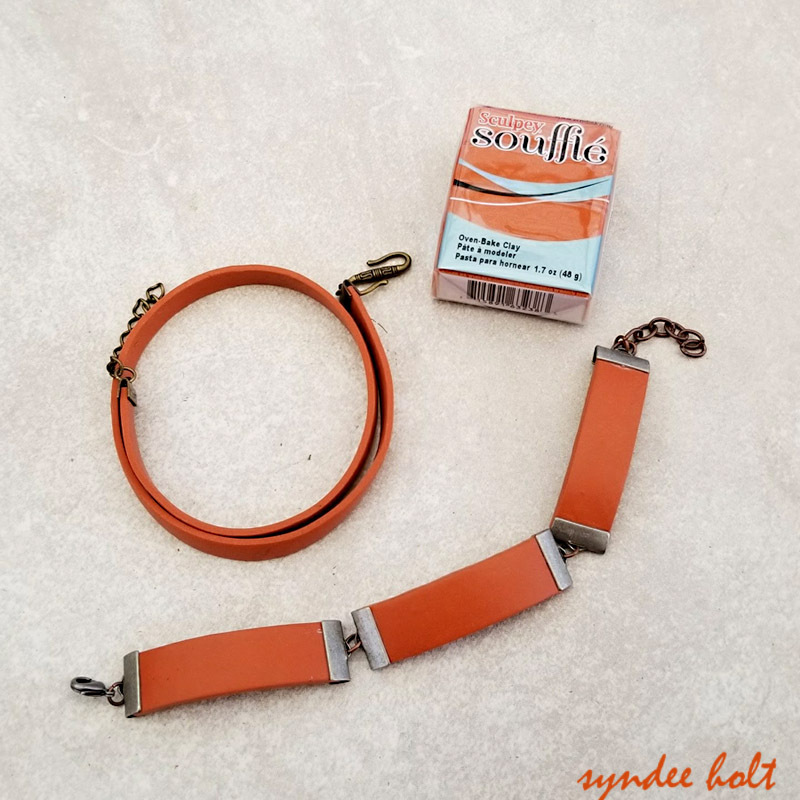 Souffle has that beautiful suede/leather texture to it that is perfect for these bracelets. It’s also very flexible and very strong after curing. Plus that Cinnamon color – gorgeous leather. SECOND RULE: No, this isn’t really a rule, but I use “ribbon crimps” to attach the clay pieces together. 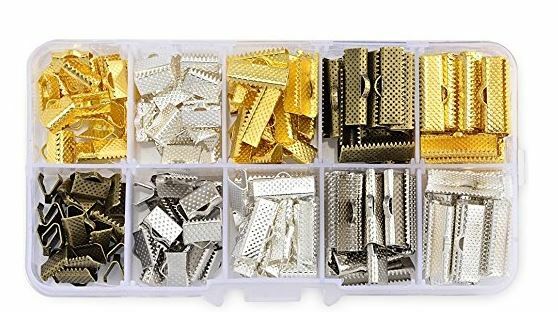 These are easily found on Amazon (see below). I prefer the 15mm for the larger bracelet and 10mm for the extruded multi-wrap bracelet. You will notice that the widths vary slightly from source to source. 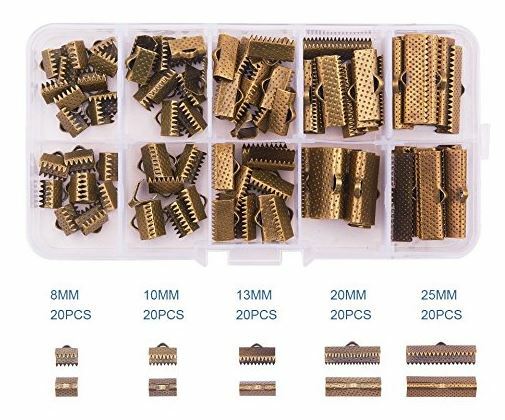 NOTE: I also prefer that the crimps have the teeth on BOTH sides of the crimp – some only have teeth on one side and then I use a little Loctite glue on the non-teethed side. 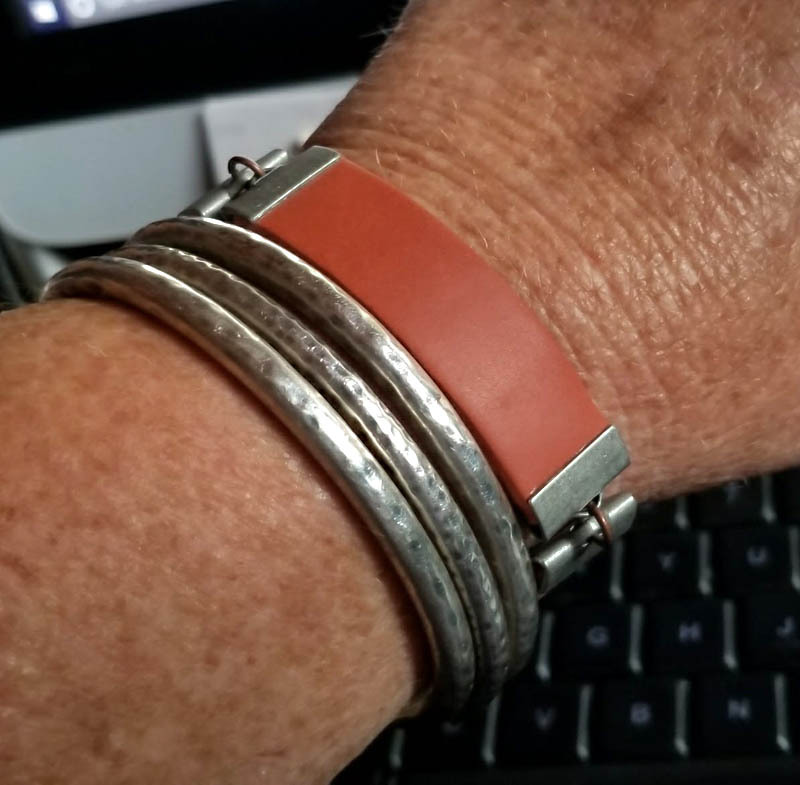 The larger, segmented bracelets shown above are create with a small pattern I created with an index card. I just cut to the pattern. My preferred size is 2 inches by the 13-55mm width, because I like the center piece to just fit across my wrist. (tell me that doesn’t look like leather!) The two side pieces are adjust in length according to the clasp I’m going to use. (this particular bracelet is all 2 inch pieces). 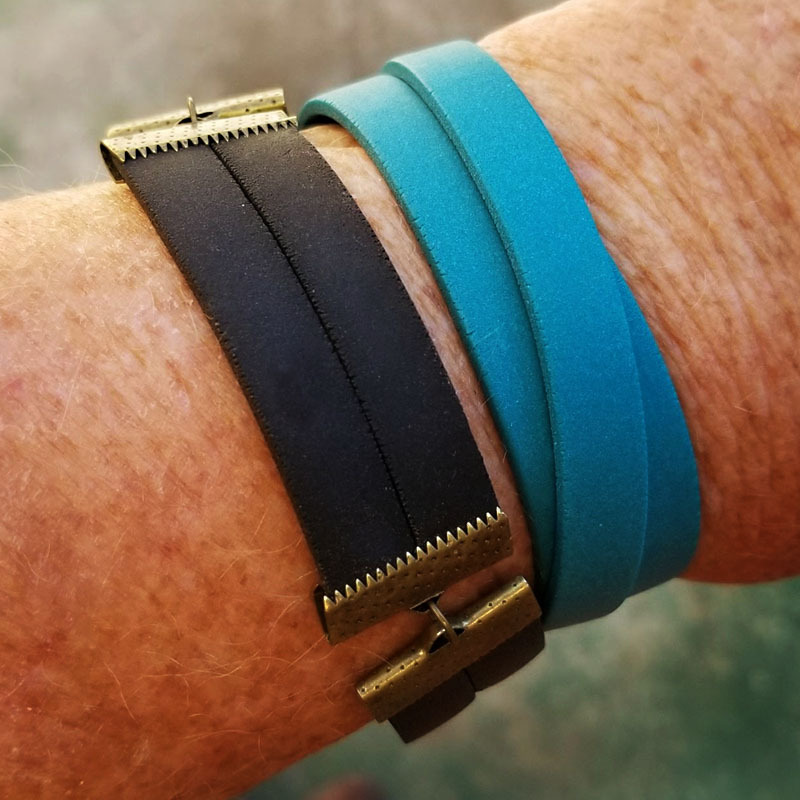 THIRD RULE: ALL BRACELET COMPONENTS ARE BAKED ON A SODA CAN – just stick or wrap them on and bake. 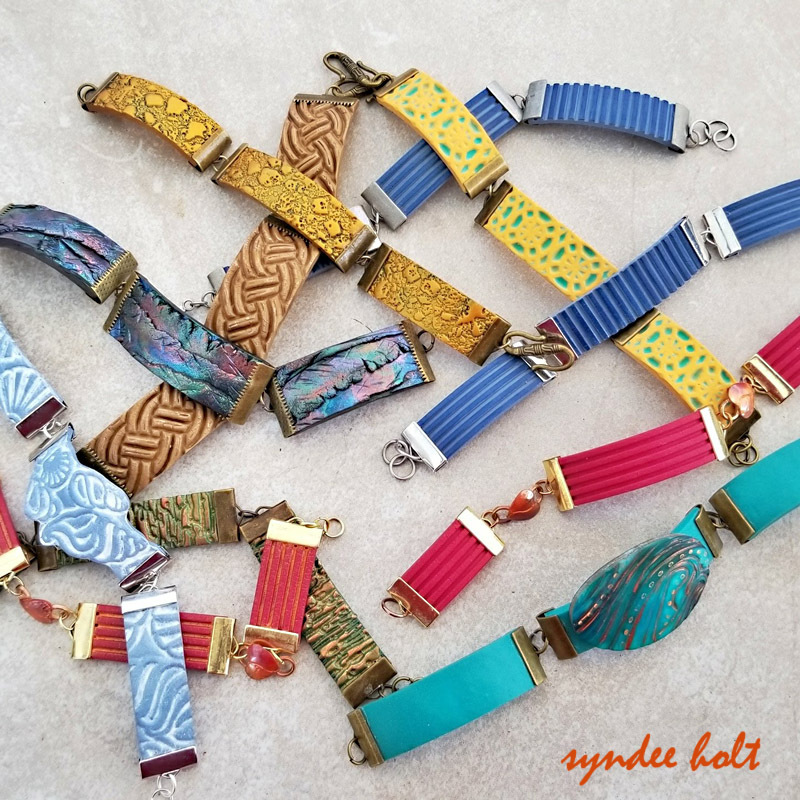 I use the smaller of the slot dies to extrude the wrap bracelets. I use a full extruder (Makins Green) and wrapped the entire extruded piece around the can to bake. These can be trimmed after baking to the length you wish to use. Yes, these can fit into some of the magnetic clasps – you may need to do a diagonal slice to thin the width at the end to fit in the clasp. Not hard to do. That double slice Poppy Seed bracelet is like herding cats – but it can be done. FOURTH RULE: Use Nylon Jaw pliers to crimp the finding. That way you don’t mar the metal of the finding or cause crimp dents. 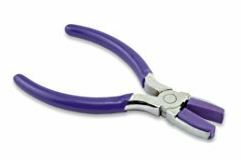 YES, you can just tape over your regular pliers, but these work so well! Put the finding in place, put your thumb and forefinger on either side of the clay, holding the crimp in place and then squeeze with the pliers with the right. (lefties, reverse this). 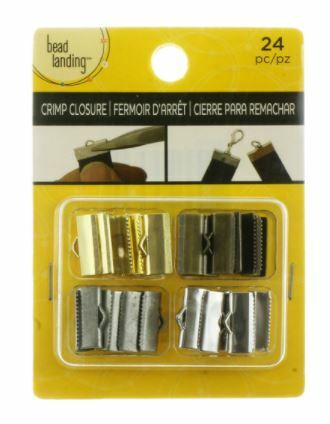 If you need to remove the crimp (herding cats remember? ), use your Exacto blade to gently slide between the crimp and clay and slowly rotate the handle to turn the blade and expand the crimp. IF you do this carefully, you can even reuse the crimp! This set from Michaels has the antique silver I love, but the teeth are only on one side, so you will need to use some glue on the non-tooth side.